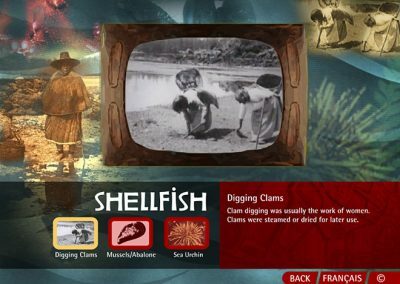 The Canadian Marine Discovery Centre in Hamilton Ontario houses state-of-the-art interactive exhibits in three galleries, a lobby and a high definition theatre. 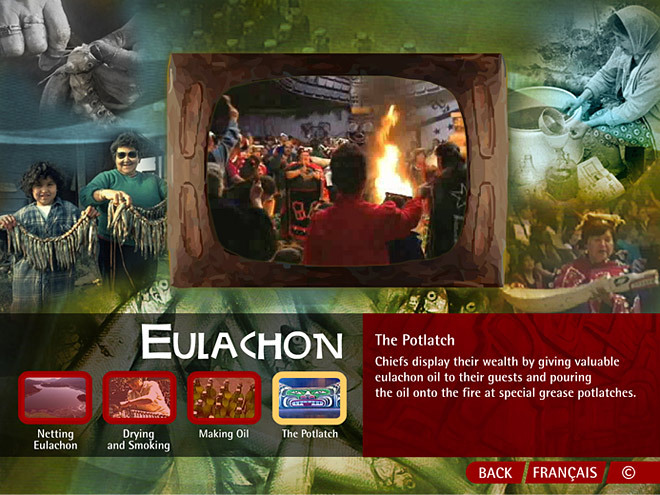 In 2003, 7th Floor Media created over 30 computer inter-activities, video and sound productions for the centre. 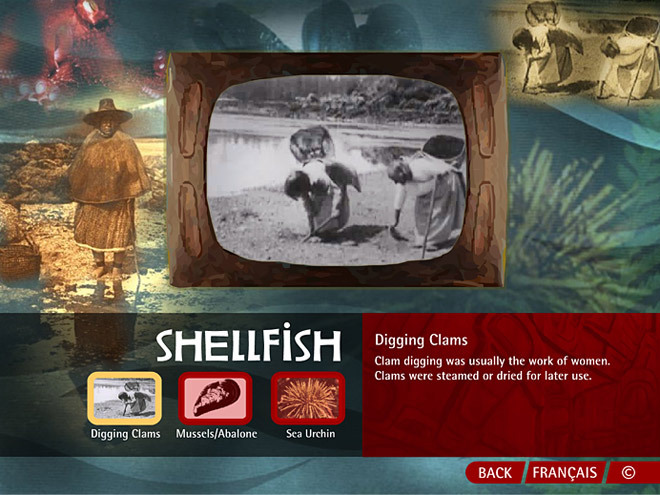 I was the senior interface designer responsible for the graphic design, navigation, animation, preliminary programming and some of the content research for four of the touch screen kiosks, two of those interfaces are seen below. 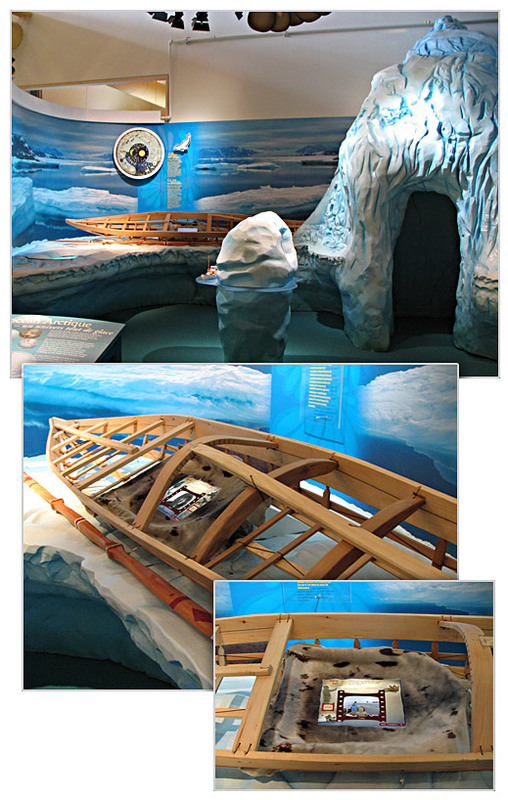 This touch screen interface sits inside the frame of an inuit kayak. 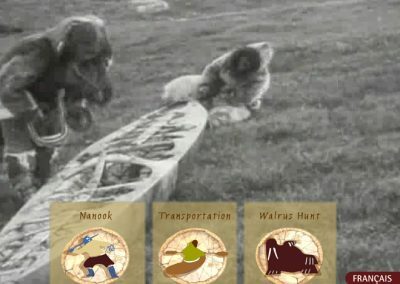 Visitors can explore video footage of Inuit hunting practices, both historical and modern day. 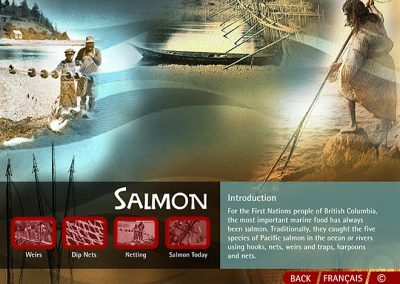 I was senior designer responsible for the design of the graphics, navigation, Flash animation and preliminary programming, as well as some of the graphics research. This touch screen is situated inside a Nuu-chah-nulth canoe that was carved for the exhibit by a First Nations artist. 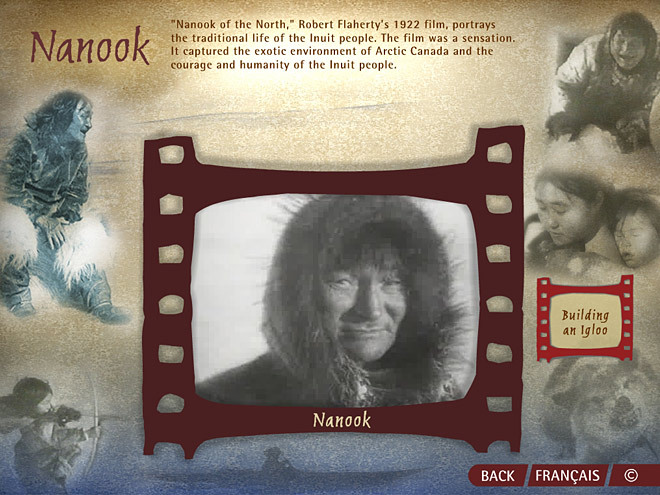 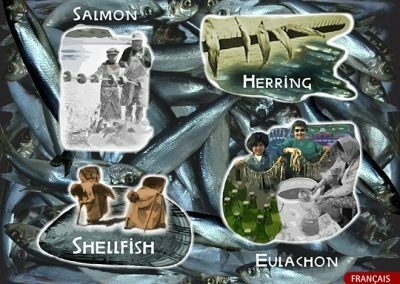 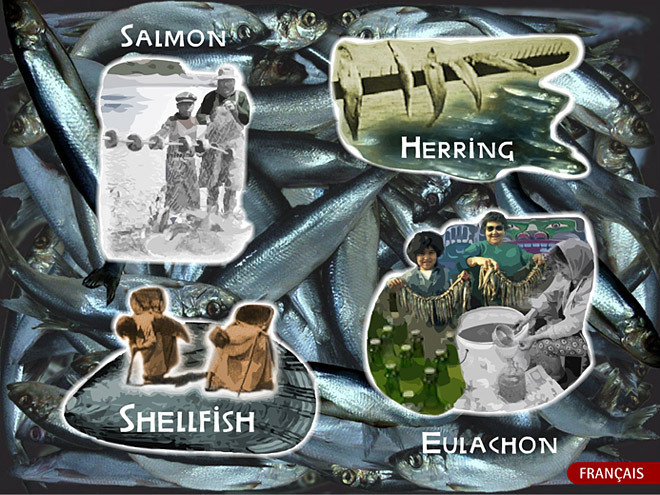 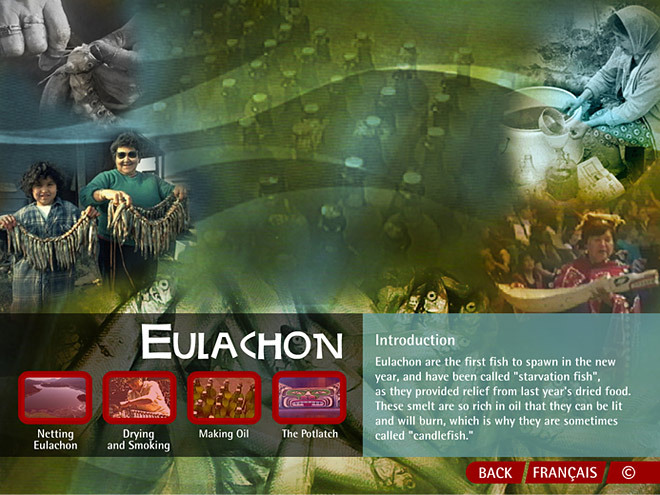 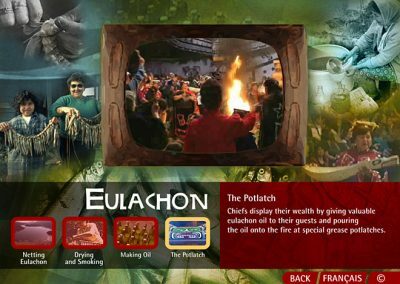 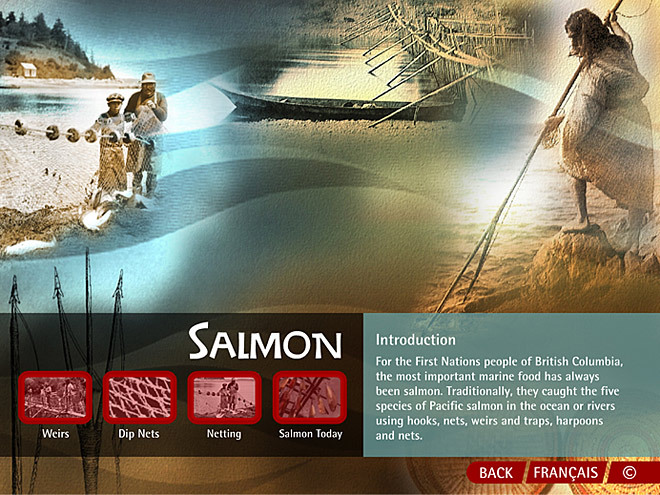 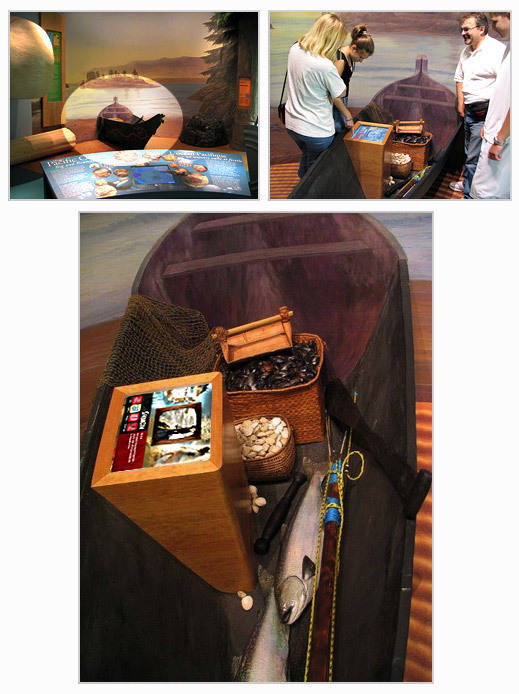 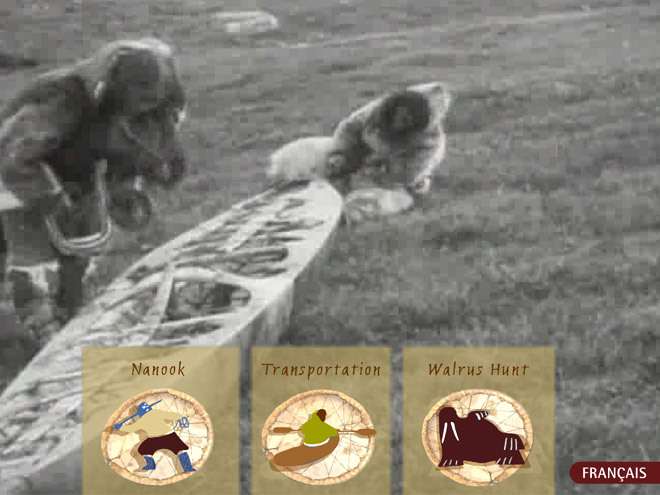 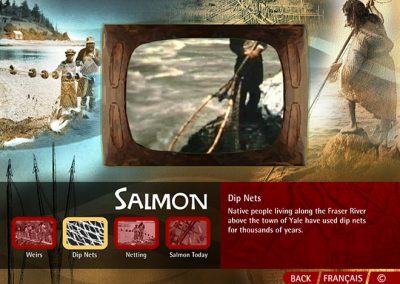 The animated interface features both modern and historical video and images of the fishing and ceremonial activities of some of Canada’s west coast First Nations communities.